I really enjoy teaching all ages, abilities and on all types of terrain. My eldest client is 86 and I still have her going down red runs! For the children I have a huge repertoire of songs to keep them entertained on the ski lifts. For any nervous skiers, I am now on my 15th season teaching and am sure I can help you build your confidence and find the love of skiing. I like to use video feedback to help my clients really understand how to better their technique, we will watch the videos in the bubble lift during the lesson. I can then email them to you or delete them off the face of the earth if you would rather! I started skiing aged 12 and fell in love with the sport, I was a racer growing up and now love the off piste side of skiing most. For anyone who fancies an adventure please take a look at this video and come and join me for the Courchevel couloir challenge! In the summer months I teach Sea Kayaking on Anglesey and I studied Civil engineering at Leeds university. I look forward to hearing from you and hopefully skiing with you soon! Wow! We just had a fabulous 3 days with Tom. He worked with everyone in our group from my 7 year old, to my already a super-skier husband, my father-in-law and others in our party with a wide range of skiing abilities. We can’t say more about what a great experience we had with him! Thanks Tom and see you next year! Tom was a great guide and person to ski with. We had a huge amount of snow and tricky conditions but we had a fantastic time. I can’t recommend Tom enough to anyone who is looking through reviews, there was three of us to guide, my dad who is 70 and a skier my brother, a skier and myself a snowboarder. He made us feel at ease and gave some technical pointers and showed us different sections of a area we have skied for many years. Thanks again Tom. Amazing, Best ski instructor we’ve ever had. Fun, patient, knowledgeable and not at all pushy. Recommended to anyone! My brother has minor dyspraxia which is basically poor fine motor skills and lack of control of muscles and was a complete beginner in skiing. With Tom he learnt to be in full control of his skis and even moved into parallel skiing with confidence. Tom was patient, understanding and adapted methods to suit my brothers needs. My brother fully enjoyed his company and conversation as did we all as a family. Fantastic. What an absolute fantastic instructor. He instructed our group of 7 beginners ( including 3 seven year olds) from absolute first timers to all going down a blue with confidence! Lovely company and fantastic fun. What a great guy and would definitely recommend. Tom was the best find of our holiday. He fast tracked our teenage son on day 1 from absolute beginner to skiing the whole mountain by day 2. He was able to respond at short notice, kept great time and adapted the lesson to our sons progress and skiing style. He was very accommodating to our last minute arrangements, was full a great tips that were easy to follow and was a real joy to ski with. Thank you Tom for a great week and for igniting in our son a new found love for skiing. Second lesson with Tom for one of my guests, Molly. She really enjoyed it and and it has given her more confidence. Organised lesson for my two friends, Molly and Tom, who were very complimentary about Tom. Thank you. Tom taught our two daughters (9 and 12) for 3 days. I’m so glad we found him as the girls have had the best 3 days. He gave them lots of tips on improving their technique but also made their lessons great fun. If we are lucky enough to come back to Courchevel next year we will definitely book him again. I would say I am an intermediate skier with a need to improve my technique -to make skiing less hard work and improve confidence on steeper slopes or more difficult snow. I had a really useful and enjoyable afternoon with Tom who is a very pleasant, extremely good ski instructor. After some assessment we then proceeded to make rapid progress on improving my ski technique. I got all I wanted out of the lesson and if Tom is available I might well do the same again next season. I have no hesitation in highly recommending Tom to anyone who wishes to improve their skiing, at whatever level. Tom is a friendly and extremely patient instructor. He helped improve both my technique and my confidence. Thanks Tom! I had two great lessons with Tom, one alone and one with my partner. After a 10 year hiatus from skiing I felt that he set me up for a great reintroduction to the sport and re-familiarized me with all of the more stressful aspects of getting around the mountain so that I could focus on having fun. We worked on a renewed set of fundamentals and on my next day out I felt like I was skiing better than I ever had in the past. My week would not have been as successful or as relaxing as it was had I not started out with a day with Tom. Thanks so much! Very glad that I booked. Best lesson I’ve had in years, Toms down to earth friendly approach helped me enormously. I really would recommend him an I would most certainly have lessons with him again. We booked a ski lesson with Tom for our 2 children who didn't want to go to esf ski school but needed to learn to ski parallel. The lesson was a great success, both of them really enjoyed their time with him - big smiles all round and begged to go out with Tom again. The improvement in their skiing was evident straight away so we booked another session the next day. It was clear he made the lesson fun for them, while showing them techniques to help them improve. By the third day of our holiday my wife decided to book a lesson with Tom. Despite having years of experience she was feeling really nervous about skiing and was finding it a struggle to keep up with the kids. She was thinking of giving up skiing altogether. Tom quickly pointed out where she could improve, and gave some great exercises to help improve technique. Taking the lesson with Tom was a really positive experience. Her confidence and ability improved straight away, so much so that she did the Saluire run twice with the kids on the last day. Tom is a great instructor for both children and adults and we would definitely use him again should we be in Courchevel in the future. Thank you Tom. Taking a ski lesson with Tom was the smartest decision we have made during our vacation. We are a couple, went on our first ski vacation with no previous experience. Tom took us by the hand, step by step, in his unique way. Tom is a one of a kind instructor, a rare combination of professionalism, kindness, and sensitivity. He helped us to gain ski basics, build our confidence, and gave us brilliant tips. We are defiantly going to take additional lessons with Tom in our next ski vacation. We had such a brilliant lesson with Tom- there were four of us, and we had all improved significantly by the end of the day- and we had a really fun time! We will definitely be having more lessons with Tom! 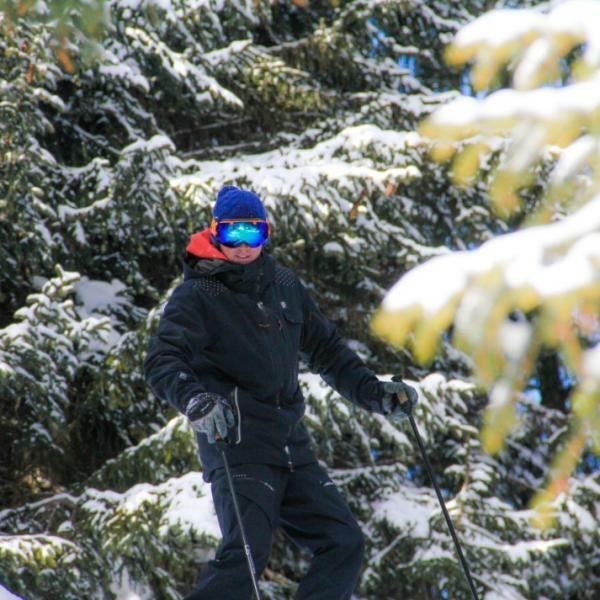 Tom is a fantastic instructor, providing practical guidance and tips for your skiing - whatever your level. Would definitely recommend. Tom was a great instructor and tailored the lesson to my requirements. I wanted to gain confidence and get technically better, both of which he helped me with. Despite not being able to have my lesson on the original time and date due to weather reasons, Tom was great at communicating with me and arranging another time and date which suited. I would highly recommend Tom as an instructor. If I’m back in the three valleys I will be sure to book Tom again. I have skied with Tom many times off piste, touring and bump skiing. 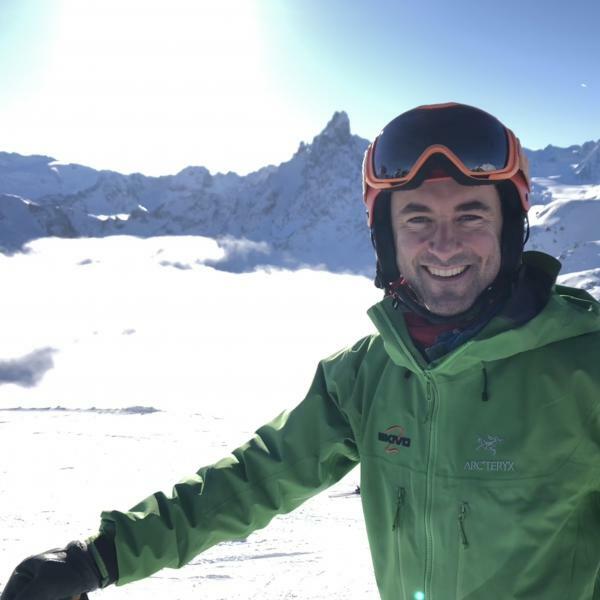 Tom is an outstanding coach who will make improvements to your skiing while not feeling like you’re in a ski school environment. He’s made a massive difference to my skiing in the steeps and has transformed my bump skiing. He always impresses with his ability to find great terrain and snow. I’ve had some amazing day’s ski touring with Tom well away from the lifts taking in stunning views and equally exhilarating skiing. As well as being a fantastic coach Tom is also a genuinely nice guy who’s a pleasure to spend time with. I highly recommend Tom to anyone looking to improve their skiing or to find some incredible terrain and snow. Not only is Tom an outstanding skier but he is also an outstanding Instructor. Tom has helped me develop my skiing on groomed pistes through to steep off Piste couloirs. Tom combines a fantastic blend of simplicity, accurate demonstrations, drills to develop your skills and a great deal of fun and excitement. 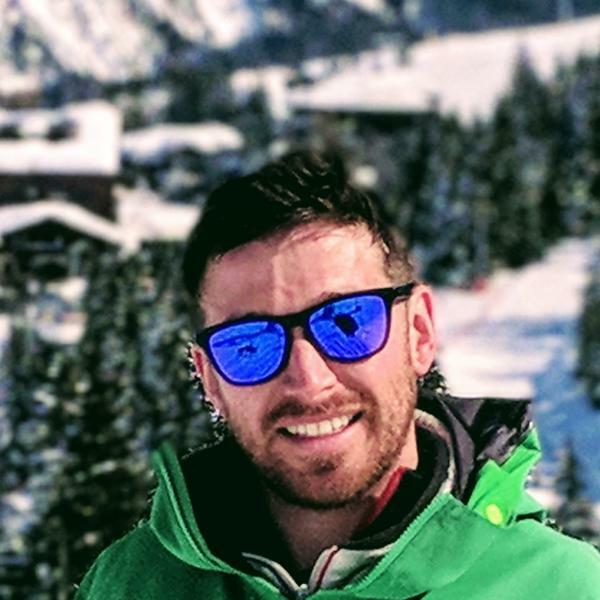 My skiing has improved considerably and I would absolutely recommend Tom to anyone who wants to develop their own skiing. Superb! Tom took a couple us (all beginners) for a lesson on our first day, and he was absolutely fantastic. Firstly, Tom was very responsive when it came to booking the lesson which made that part of the process really easy. During the lesson, Tom was great - really friendly and taught us some of key things, giving us confidence and setting us well for the rest of our trip. As a group, we really appreciated that Tom took some time with each of us individually to ensure we understood the concepts he was teaching. The lesson was challenging and really fun at the same time. Tom had some routes planned and was brilliant in suggesting where we should go post lesson to practice further. Would highly recommend Tom, thanks for a great lesson!! I had a refresher lesson with Tom after several years not skiing and he was great. Tom was very patient and put me at ease. I also picked up lots of good tips and advice on my technique.